For anyone who had ever had to deal with a warranty issue for a major appliance or car, you know what a challenge it can be to find the paperwork, find your warranty card, contact the company, and go through the process of establishing your warranty information. And if you’re not the original owner, it just adds an additional step of complexity. 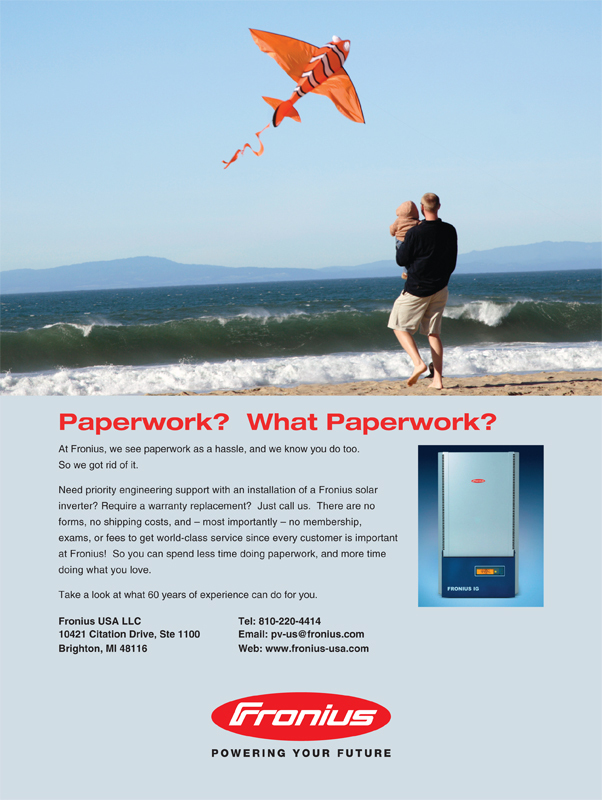 Fronius USA sought to address this challenging process by streamlining it, providing a valuable, yet intangible benefit to their customers. First, they took the paper out of the equation. No warranty cards needed. Then, they tied the warranty to the inverter serial number instead of to the name of the owner. This allowed for a transferable warranty if the owner ever sold their home/business. 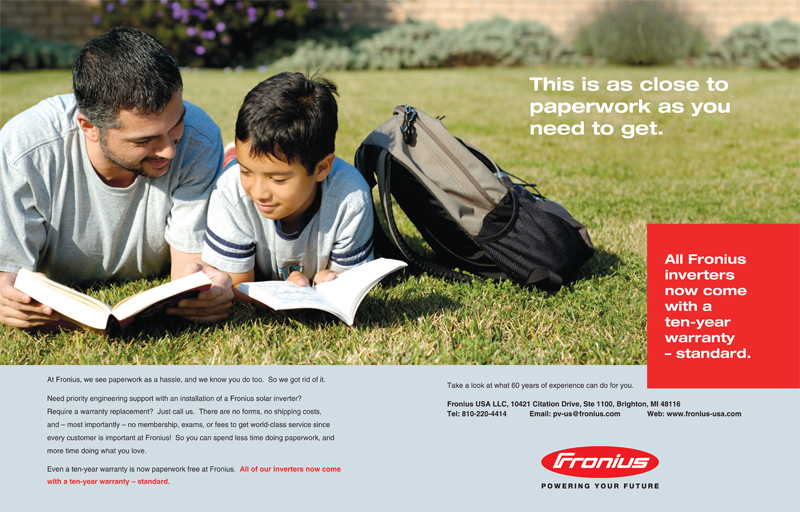 Our challenge was to advertise this intangible benefit to Fronius’ customers in such a way that caught the viewer’s attention and showed the value in this benefit. 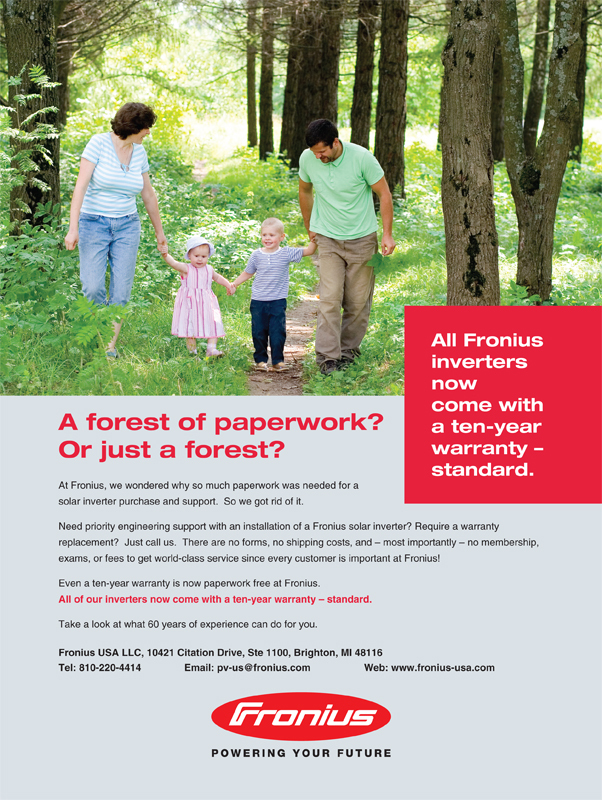 Of course, we hope no-one ever has to use their warranty, but if they do, Fronius wanted it to be a straightforward process. Our solution was to create an ad campaign that related the lack of paperwork to free time. Spend more time on what was important and less time dealing with the hassle of paperwork. Who wouldn’t want that? 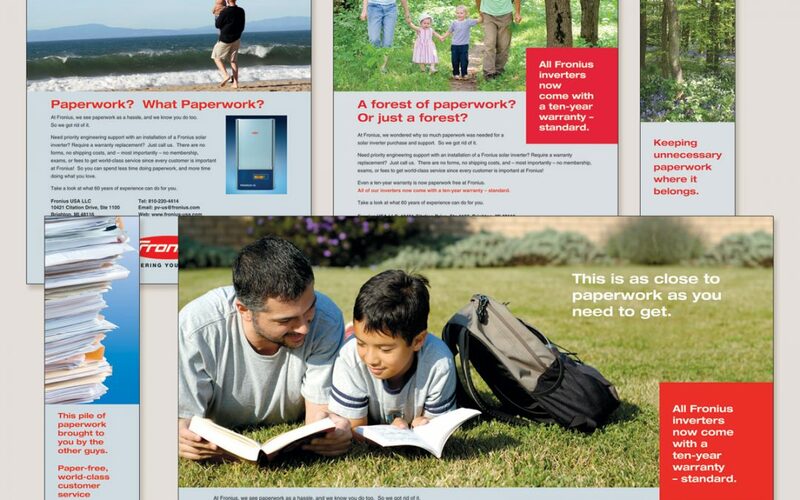 The resulting ad campaign was dubbed the “What Paperwork” campaign. It resulted in a much broader awareness of the intangible benefits of owning a Fronius inverter beyond the quality of the inverter itself.